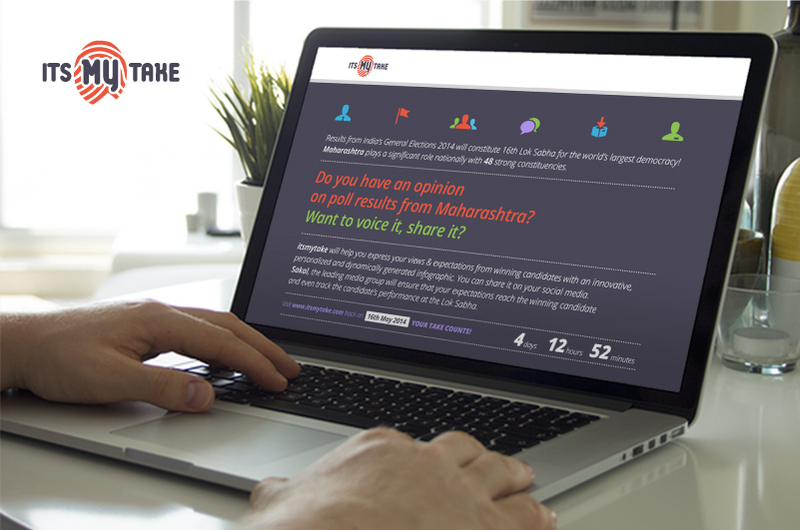 Sakal Media Group launched a web based initiative which encourages users to voice their opinions about elections, candidates and performance expectations on an online platform. Itsmytake lets users publish their take on social media in a few simple steps via the website and uses it to generate content. Our team conceptualised a platform, where visually delightful and easy to understand infographics are instantly generated from the data selection of users. An exciting co-creation between design, technology & content experts, it is first of its kind, and is completely conceptualised with the user in focus. Powered by Persistent Systems, the website has bilingual options (English & Marathi) and is both desktop & mobile friendly. 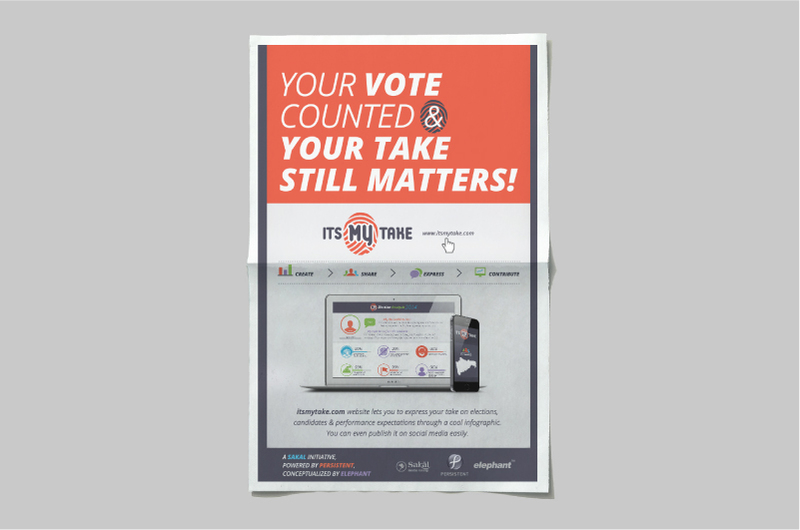 An innovative use of technology to power change, itsmytake helped simplify the election process for citizens!